For new parents the myriad of baby products that need to be purchased can be quite daunting. Because of the huge range of varieties, brands, features and options, baby strollers can be one of the toughest nuts to crack when it comes to making sure your parenting arsenal is well stocked. We’re going to take a look at some of the types of baby strollers available and give you some advice on how to choose a stroller to best suite to suit your personal needs and tastes. All Terrain or City Living? When figuring out how to choose a stroller, one of the first things you need to work out is the type of terrain you’ll most commonly be traversing. If you’ll mainly be traveling along city sidewalks or pavement then almost any type of wheels/suspension will be effective and you can focus on other aspects and features. If however, you intend to use your stroller on rough terrain such as bumpy tracks or grassy hills then you’ll want to find a stroller that turns well and won’t stop suddenly or jar once it hits uneven terrain. Try pushing the stroller around the store and look for uneven flooring to test it on such as the joint where carpet meets flat ground and see how well the wheels travel over it. Also take note of how responsive it is when you turn corners. You’ll generally find that strollers which are steered using a single bar as opposed to 2 individual umbrella type handles are easier to control. 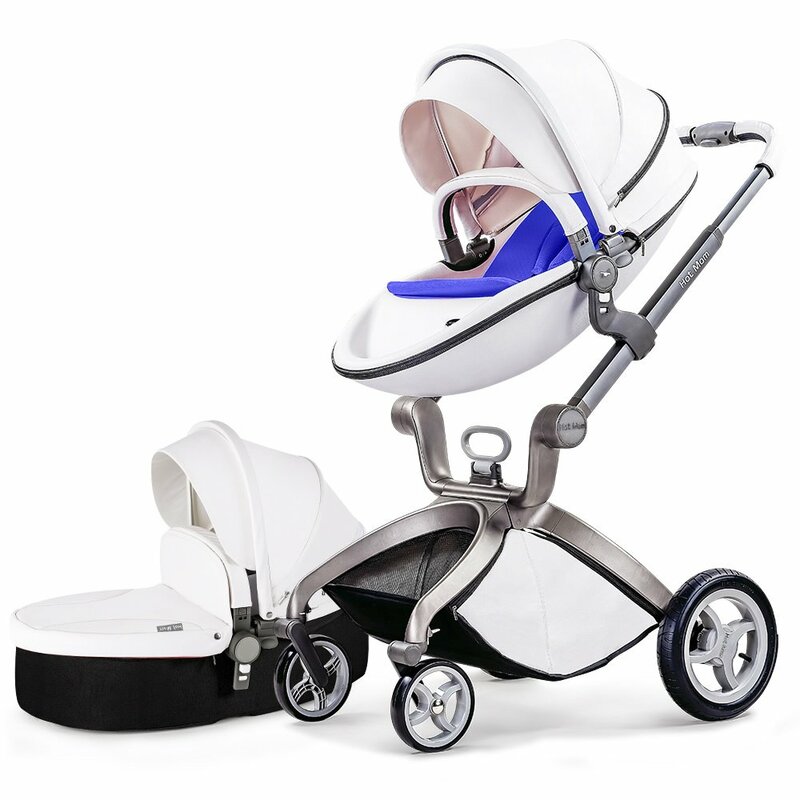 If you intend to use the stroller on winding roads or in busy areas with many people then the ability to steer easily and comfortably is important. If you plan on running or jogging over rough terrain then you may want to invest in a heavyweight jogger that comes with a suspension system to ensure that your baby isn’t jolted around too much. The most important aspect to consider when choosing a stroller should always be safety. There are a few things to keep an eye out for when it comes to a safe stroller. First of all you need to make sure that the stroller has a locking device that ensures it can’t accidentally collapse while in use. You’ll also want to make sure that there are no exposed coils, or protruding parts that could cause injury to your child or by catching their fingers. And lastly, you need to make sure that the restraints are sturdy, effective and comfortable. Check that they are strong and well attached to either the frame or the upholstery and that they won’t allow your baby to slip out or fall forward while traveling down steep declines etc. You’ll also want to ensure that the latch system is too difficult for a clever or inquisitive child to open themselves. Following safety it’s also very important that the stroller you choose is comfortable to use for both you and your baby. The weight of the stroller is an important factor to consider, especially if you’ll be frequently removing it and putting it back in a car or carrying it around. Keep in mind that joggers and feature rich strollers can often be quite heavy so make sure that you test the stroller out by collapsing it and picking it up a few times before purchasing. You’ll want to ensure that it’s both light enough for you to lift and easy enough for you to collapse while also holding an infant. If a heavier stroller is a necessity for you then you may want to consider also purchasing a lightweight umbrella stroller for short shopping trips etc where the bulkier stroller might be a hindrance. Another important factor to consider when it comes to your comfort is the height of the handle bars. You’ll need to make sure that they’re at a height where you’re not slouching over or that they’re adjustable. If two people of varying heights are both going to be using the stroller frequently then adjustable handles are the best option here. When it comes to your baby’s comfort there are a couple of main things to consider. First of all make sure that any straps your baby will be secured with are made from a comfortable material or that they have padding covering the parts that might come into contact with your baby’s skin. You’ll also want to ensure that the seating isn’t uncomfortable and has some kind of padding, even if it is minimal. 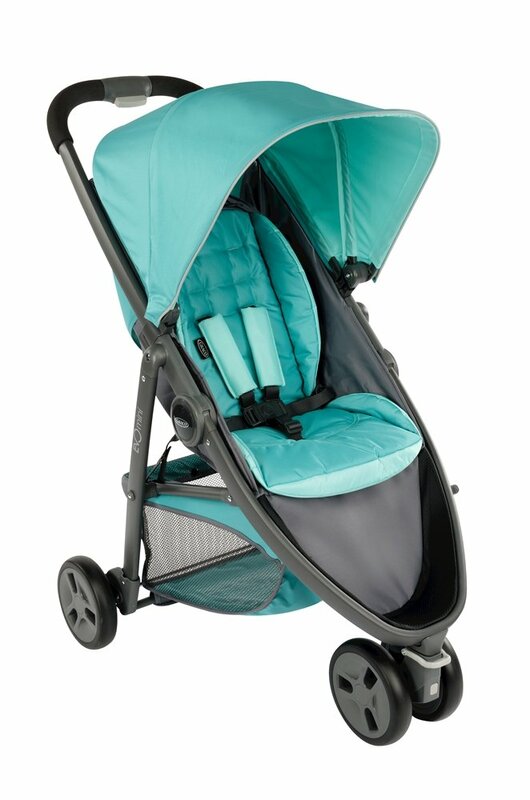 Lastly you’ll need to ensure that the stroller provides both adequate shade and ventilation for hot days. Once you’ve covered the main areas of concern such as safety, comfort and practicality then you can consider some of the optional extras that many strollers offer. You’ll find many strollers come with storage space underneath which can be great when you’re going on a long walk and need to store bottles, blankets and bags. Make sure that the storage area is not only big enough for your purse etc but also for all the additional items that your baby will need. Other features that some strollers come equipped with include… drink holders, built in music systems, rain covers, snack trays and toy bars. Some of these accessories are often sold as universal add-ons that will fit almost any stroller so don’t be discouraged if the stroller you’re set on doesn’t come with one or more of these. Hopefully you now have a better idea of how to choose a stroller and how to put it through it’s paces before you buy. It’s also important to remember that it may not be possible to have all the features you want and the practicality of lightweight and great manoeuvrability all in the one stroller so if you can afford it, perhaps consider buying 2 or more to fit your different needs. Good luck!